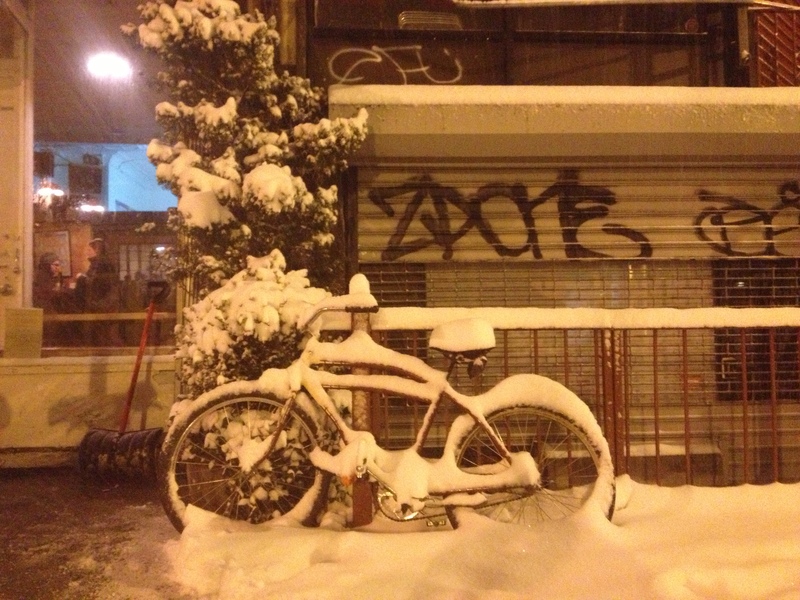 Friday was the first big snow storm of the year. I love snowstorms which is a good thing considering I grew up in Canada and we used to get a lot of them! So on Friday at 2 a.m I was so excited, unable to sleep I told Neil I had to go out and be in the snow. It was still coming down, the city was covered in a wonderful perfect white blanket. This is the best part about snow, once people start shoveling it and walking in it all the magic disappears and becomes slush. 2 cups milk, 2 beaten eggs, 1 and 1/2 cups sugar, 1/4 tsp salt, 2 tsp vanilla, Lg bowl of clean snow. Mix all ingredients (except snow) until thoroughly blended. Add snow & stir lightly until well mixed. Do not add snow all at once into mixture. Sounds really easy – I haven’t made it yet, for Saturday night’s dinner I made regular old vanilla ice cream, but love the idea of this recipe so much. Of course in my head I ponder how clean the snow is and do you really want to eat it? I also look at the recipe and wonder if you were to use a traditional custard base if that would work as well? And don’t get me started on flavors. What is brilliant about this recipe is how simple it is and what a fine idea to make ice cream from fresh fallen snow? Hot chocolate anyone? 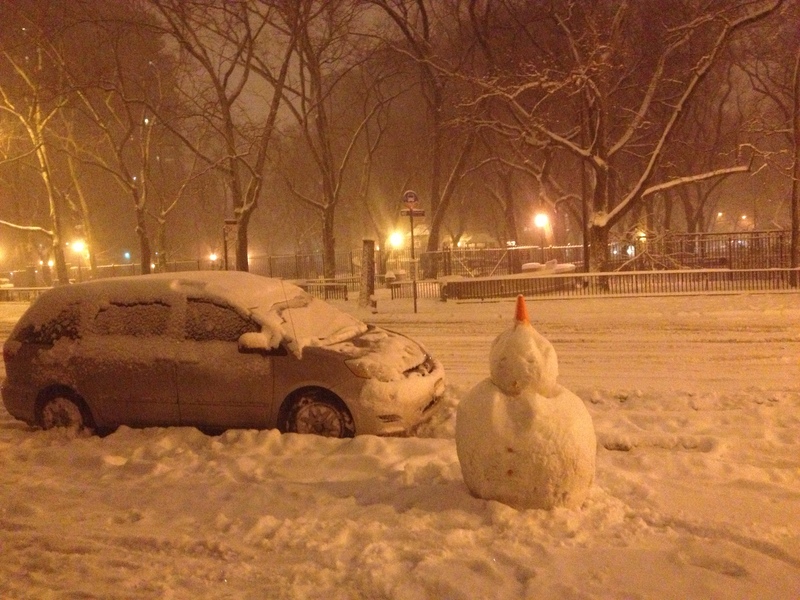 This entry was posted in NYC, Recipes and tagged snow ice cream. Bookmark the permalink.